Our town had their annual yard sale/flea market this past weekend. I missed it last year and was determined to go this year. Since my husband and son were out of town on a camping trip, I brought my 3-year-old daughter along (without a stroller!!). I thought I got there early, but by 7:45 am it was already packed! We meandered along , and while there was a lot of cool stuff, there wasn't a lot I felt compelled to buy right then. Now, okay, I don't normally go for 1940s guy magazines. I've usually stayed pretty close to the women's side of things, but I couldn't pass this up for a lot of reasons. The main reason was the main article "Policing a Nation at War" - an interview with J. Edgar Hoover. A couple weeks ago I met a sweet lady at JoAnn Fabrics who was working at the fabric cutting counter. It was her first day and someone was training her to cut fabric. As she was helping me, she saw my fabric and asked me what I was making: I told her I wasn't making anything in particular. I was just trying to find some 1940s-esque fabrics and this one fit the bill, I felt. She said she thought it looked from that era and mentioned she had some of her mom's old hats and a brown velvet dress she was trying to sell. I told her I would totally be interested, so I got her number and went to see her today. She sold these two lovely 40s' felt hats for a very nice price. She said she wanted them to go to someone that would appreciate them. Ooh! I'm so excited! 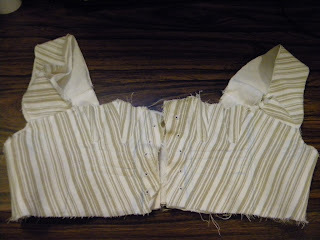 I am nearly finished with my first pair of Regency short stays and compared with the long stays, I have to say I am sooooo glad I made this second pair. Not only can I bend and sew while wearing them, but just from fitting them on, I can tell they are going to be way more comfortable. What a relief! I was really put off by those long stays and had to step away from the Regency thing for awhile until I just determined that I was going to make a new set of stays. Now I'm just waiting for my steel boning to come in the mail and then I can finish them up. Hooray! Then I can finally start making my dress. These past few days, as I have been working on my Regency short stays, I've been engrossed in watching the Edwardian Farm BBC series. It has been absolutely fabulous! Just as good as their Victorian Farm series, if not better. These programs are experimental history at its finest! 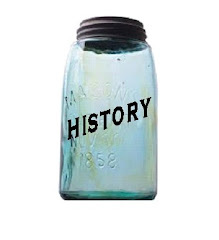 This is one thing that I've always been passionate about - the bringing to life of the past, turning it inside out so that we can examine it in the best way we can through the actual doing. 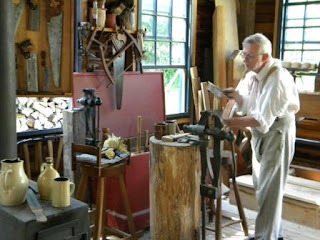 I was drawn to this as a teenager and was thrilled that I got a job at a superb living history museum, Conner Prairie. We went through vigorous training for 3 months before we even got to go work in the village which was 100% first person interpretation of all the characters. I loved, adored, and soaked it all in. It was awesome... until I actually had to work in the village and deal with visitors. 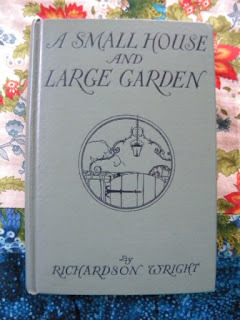 When I went, I was picking up some 1940s Reader Digest magazines that she was giving away and while I was there and perusing her books, my eyes immediately were drawn to this random book entitled A Small House and Large Garden written in 1920 by Richardson Wright. She highly recommended it (she had even visited his house he talks about in the book!) 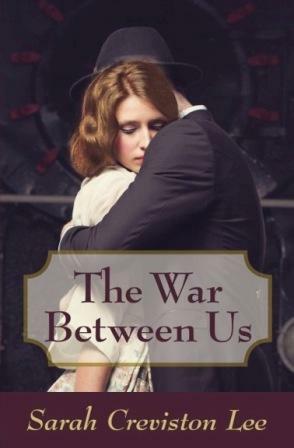 and kindly let me borrow it along with Mrs. Miniver by Jan Struther (a novel written in 1943). For anyone that knows me, they know that I don't normally geek out about shoes. I have uber high arches and slightly wide feet, so I am really limited in what I can buy to begin with, let alone what feels comfortable. So usually, my shoes are very practical and I never wear a heel higher than one inch. I've told my husband he should be grateful that I own less than 10 pairs of shoes. I'm not lying! That's all I have!